Thank you, Professor Watt, and thank you all for being here this afternoon for my 2017 State of the Campus Address. We are livestreaming this event today, and I want to welcome all of you who are joining us via the web. I want to offer a special welcome to IU Trustee Phil Eskew, Chancellor Emeritus Jerry Bepko, And it is my special pleasure to welcome members of the IUPUI Board of Advisors who are with us this afternoon. Would you all please join me in welcoming them? Finally, I would like to extend a special welcome to my wife Niloo, first lady of the IUPUI campus. This is an auspicious moment in the life of our campus. Our 50th anniversary is just a year away. As we reach milestones like this, it is more important than ever to remember and honor our history. With this in mind, before I reflect on the current state of IUPUI, let me take you back to the early days of this great campus. That history, this city, and the breadth and depth of our campus distinguish us from every other university in the world. So many campuses started life as undergraduate colleges that—over time—added graduate and professional programs. We started with professional schools and then began building our liberal education core. Our deepest roots go back nearly one hundred and thirty years to IU’s extension courses, but it was in 1903, that the IU School of Medicine was established here. Indianapolis was the natural choice for the school’s location because of the city’s population. To teach people about the healing professions, students, doctors, nurses, and therapists need people to heal. The 1900 census indicates that Bloomington’s population was just over 6,000. Indianapolis was home to nearly 170,000 people, and some of them were sick. A great city needs a great university. Soon after the School of Medicine found a home in Indy, the foundations for the School of Dentistry, the School of Nursing, the School of Law, and the School of Education were formed here. The School of Social Work and the School of Physical Education and Tourism Management also had their roots in those early years. Around 1940, in response to the start of World War II, Purdue University began providing more technical courses in Indianapolis. Both IU and Purdue operations continued to grow here, especially in the aftermath of World War II as the GI Bill offered millions of former soldiers the opportunity for higher education. In January 1969, growth of IU and Purdue came together when leaders of the institutions, in collaboration with leaders at the city and state levels, officially established IUPUI. 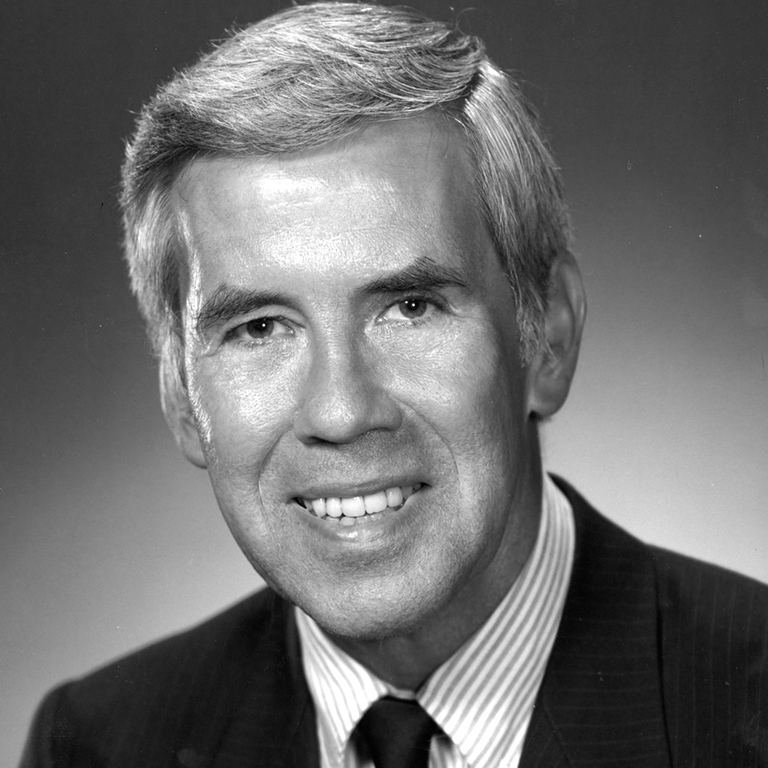 As then Mayor of Indianapolis Richard Lugar put it, “A great city needs a great university,” and Indianapolis got just such a university when IUPUI was born as a campus of Indiana University. In the fifty years since that remarkable moment, we have grown into the most comprehensive university campus in the state of Indiana. We have grown into an internationally ranked, highly competitive home to cutting-edge innovation in higher education. We have grown into a campus of aspiration, achievement, and pride. Leadership has been crucial to both envisioning and fulfilling the aspirations of this great campus. It has shaped IUPUI as a diverse and inclusive environment and has enabled us to remain responsive to our changing world. This afternoon, it is my great pleasure to honor a leader who laid the foundations of this campus that we continue to build on today. This State of the Campus address is the right place for us to honor Bill Plater as we think about IUPUI’s history, our shared achievements, and our next fifty years. Bill started his career here as Dean of the School of Liberal Arts and professor of English in 1983. And he was the longest serving Executive Vice Chancellor in campus history, holding that position from 1987 to 2006. Much of that time, he served with Chancellor Jerry Bepko, and the two were an inseparable and effective team. He led the development of our first comprehensive campus-wide strategic plan and spearheaded the establishment of University College as the entry point for our beginning students. The Center on Philanthropy was established during his tenure and has grown into the world’s first school of philanthropy. Bill embraced the power of technology, establishing the foundation for the School of Informatics on our campus. He also authorized a campus technology master plan that included our state-of-the-art University Library, and invested in talent and resources to transform interactive online learning. Both the IUPUI Staff Council and the Senior Academy were established under his watch. I understand we may have members of the Staff Council as well as Senior Academy with us this afternoon. Would you all please stand for our recognition? The heart of our community engagement began beating under Bill’s leadership as we launched our Center for Service and Learning. In recognition of Dr. Plater’s efforts related to civic engagement, in 2006, IUPUI established the William M. Plater Civic Engagement Medallion to honor graduates who have excelled in their commitment and service to the community. We have a number of Plater Medallion recipients with us this afternoon. Would you and your guests please stand for our recognition and welcome? In honor of Bill Plater’s national leadership, the American Association of State Colleges and Universities established the William M. Plater Award for Leadership in Civic Engagement in 2006. This is the first national award established specifically to honor and recognize chief academic officers for their leadership in higher education, and Bill was the first recipient. All of this is testimony to Bill’s leadership. It is difficult to convey the work of someone who did so much for the campus and for higher education more broadly, someone whom colleagues have described as “an architect of dreams,” so I would like to share with you the reflections of a few of Bill Plater’s colleagues. Bill, would you please join me on stage? As Bill joins me, I would like to welcome his wife Gail and members of his family. Gail, would you and your family please stand for our recognition? Bill, thank you for all that you have done for IUPUI and for higher education more broadly. In recognition of your remarkable service to higher education through your scholarship, leadership, and programmatic transformation, it is my privilege to bestow upon you the Chancellor’s Medallion, the highest award with which the IUPUI chancellor may recognize distinguished contributions to our campus, community, and world. Bill, I know everyone who has read your magnificently well-written, long memos will worry when they hear this question, but would you like to say a few words? Thank you, Bill, and thanks to all of you who have helped us to plan and dream over the course of our first fifty years. The state of our campus today owes a debt of gratitude to all that you have done in years past to put us on an unparalleled trajectory for growth and success. Our achievements over the past year reflect the state of this campus and span our massive research and educational enterprise. IUPUI's impact is in direct proportion to the scale of our operation. That enterprise includes nearly 30,000 students. While 87% of our students are Indiana residents, a full 28% are students of color. This translates into a wide array of perspectives, all of which enrich our campus culture and our classrooms. We have students from 145 countries, all 92 counties in Indiana and from every state but one. If you have friends in Vermont, would you please tell them about IUPUI? We are drawing more students from the Midwest thanks to our participation in the Midwest Student Exchange Program. IUPUI joined in fall 2016 and enrollment from member states has risen by 48%. Thanks to special recruitment and promotional efforts in Chicago, including television and digital campaigns, applications for fall 2018 are up nearly 50%. This year we welcomed a record number of beginning students who are the most diverse and among the best prepared incoming groups ever to study at IUPUI. We are drawing the best and brightest from right here in Indiana and from around the world. Just last year, IUPUI granted 7,610 degrees, and these graduates are prepared to succeed anywhere in the world. We conducted an in-depth study of IUPUI graduates, and this survey showed that nearly 90 percent of IUPUI grads reported a positive career outcome prior to graduation. This means that the vast majority graduated with a job, had enrolled in graduate school, were serving in the military, or were participating in the Peace Corps or some other service program, among other possible activities. Sixty-five percent of those reporting full-time employment were working in the Indianapolis area, with 91.6 percent of employed graduates remaining in Indiana. With over 180,000 living graduates, most of whom live right here in Indiana, IUPUI has made an incredible difference in the lives of students from here in Indiana and from around the world. When we consider the state’s rank at 43rd in the nation for bachelor’s degree attainment, the presence of so many Jaguar graduates makes an even greater impact. That impact is in direct proportion to the scale of our operation. With a budget of $1.4 billion and more than 7,600 full-time faculty and staff members, we are one of the largest employers in Marion County. With 685 foreign-born faculty and instructors, we draw talent from around the world to drive the innovation that characterizes our campus. All told, we have a payroll of more than three quarters of a billion dollars and the majority of those dollars are spent right here in Indiana by the proud Hoosiers who make up the IUPUI workforce. In addition, as an organization, IUPUI spends $270 million on goods and services to support our operation, and over half of that is spent right here in Indiana. IUPUI is an integral and powerful part of the Indiana and Indianapolis economy, and these numbers show that the state of our campus is strong. The state of our campus can also be seen in the evolution of our programs at multiple levels. In fact, we are meeting the needs of our students and the economy by diversifying and increasing the number of academic programs we offer. In the past five years, we have added a remarkable 61 degree programs, touching schools across campus. This includes 46 graduate degree and graduate certificate programs, which address our campus strategic priority to expand graduate education. Building on the incredible IT foundation that started taking shape during Dr. Plater’s tenure, IUPUI’s current online courses account for tens of thousands of credit hours this semester with 38% of our students enrolled in at least one online course. Today, we offer more online courses than any other campus of Indiana University. IUPUI’s online presence serves our increasingly diverse student population. By continuing to increase our online course offerings, we are extending our reach to even more students and giving them the flexibility they need to graduate. In online education and other areas, we work to leverage existing resources at the same time as we meet students’ needs. Speaking of leveraging existing resources, I am delighted to publicly announce that we are creating a new Institute for Engaged Learning within the Division of Undergraduate Education. This new institute unites under one organizational structure key services that—together—will more effectively support students engaging in high-impact practices that lead to graduation. These programs include the Center for Service and Learning, the Center for Research and Learning, and RISE programs, among others, all of which will link closely with international and global learning initiatives. Jay Gladden, Associate Vice Chancellor for Undergraduate Education and Dean of University College, is leading the planning effort for this institute, which is set to launch in the fall of 2018. As we celebrate our 50th Anniversary next year, we look forward to fully implementing the shared vision that is currently being developed for the institute. This great progress and evolution is also taking place at the school level. Just this past August, the IU Board of Trustees endorsed a recommendation to separate the IU School of Education into two independent schools of education on the IUPUI and IU Bloomington campuses. The program on our campus has always been a leading voice in urban education, a focus that we will further strengthen to meet the educational needs of Indianapolis. Soon our impact will be felt in Fort Wayne, as well. In June 2017, the IU and Purdue Boards of Trustees approved agreements to realign the IPFW campus, which will create separate IU and Purdue campuses in Fort Wayne. We are in the midst of the one-year transition period, with the realignment taking full effect on July 1, 2018, at which time IUPUI will begin overseeing IU Fort Wayne programs. At that time, our IUPUI student body will also increase to include students at the new IU Fort Wayne campus. With programs in Indianapolis, Fort Wayne, and Columbus, we are increasingly serving the needs of cities throughout the state of Indiana, but we are also strengthening our international presence in higher education. Since 2000, we have more than tripled the number of international students studying at IUPUI. This year we set a new record with 2,087 international students who account for 7.2 percent of all IUPUI Jaguars. In addition, we have seen dramatic increases in the number of study abroad programs. When I arrived at IUPUI back in the 1980s, we had about 25 students studying abroad. According to the most recent data, IUPUI study abroad numbers are nearing 600 per year. Since 2000, we have more than tripled the number of international students studying at IUPUI. As one of this country’s most innovative universities, IUPUI is the right place for students from around the world. As a public institution, we also strive to be careful stewards of the state’s resources as well as good partners with the city and the state in leveraging those resources. Over the past year, this stewardship has included a number of construction, space studies, and renovation projects that have allowed us to reconfigure and repurpose existing spaces to improve functionality. One of the best and most recent examples is the construction taking place along Michigan and West Streets. This massive project, a long-range partnership between the city of Indianapolis and IUPUI, is part of IUPUI’s master plan. The improvements began in 2015 with the conversion of New York Street into a two-way street. With a similar change to Michigan Street, traffic flow on campus will ease because drivers, cyclists, and others will have more options for entering and exiting campus. The project will be finished in Spring 2018 and also includes improved bike lanes and crosswalks as well as major landscaping improvements. You can see in the slides the dramatic changes along West Street, which is at the bottom of this graphic, and along the right side in the next two. These changes reflect the aspirational ethos of our campus where the expectation is that we do more, that we achieve more, that we always aim higher. We don’t make these changes because we have to. We make them because they make our campus stronger and bring all of us together as an inviting and welcoming community. The Natatorium renovation, which took place last year, is tied to this massive public works project, and the Nat is part of a new project as well. I am delighted to announce that IUPUI is collaborating with the Indiana Sports Corp and the State of Indiana on a sports district planning study. Through this $3 million study funded by the state legislators, we aim to strengthen Indianapolis’ position as a leader in the sports industry through collaboration of sports organizations with the IUPUI campus, co-location of sports facilities, and incubation of sports innovation. Studies such as this suggest how our campus as a whole is growing and changing to meet the needs of our faculty, staff, students, and the community. I am pleased that this growth and change includes the impressive expansion of the Dental School clinical facilities. In spring 2018, we will be dedicating the James J. Fritts, DDS Clinical Care Center, which is adding 45,000 square feet of space that will house approximately 125 new state-of-the-art clinics for training the next generation of dentists. I am excited that the growth and change on campus also includes our new Jaguar Fitness Center available to every member of the campus community and scheduled to open in January 2018. Located on the lower level of the Campus Center, this new fitness center will feature free weights and other fitness equipment, workout and activity space, shower rooms, and staff offices. We are also in the midst of renovating a portion of the University Library to create more areas for all of our students to study and collaborate. The renovation includes a new Graduate Commons area. The only public space on campus dedicated exclusively to graduate and professional students, the commons will be available starting in Spring 2018. The central location of this space on campus reinforces our strong commitment to student success and to growing and supporting our graduate and professional students. Considering the dramatic expansion of our graduate programs that I mentioned earlier, this new space comes at a strategic moment for our campus. The final construction project I would like to mention is still in the proposal stage. We are planning for a new building that will provide needed research, classroom, and office space on the east side of the campus. The building is projected to include collaborative spaces for Science, Engineering and Technology, and Informatics and Computing as well as state of the art classroom spaces. Construction is important, but people will always be at the heart of this institution. The true state of this campus can be measured in the achievements of our outstanding faculty, staff and students. It is my great pleasure to highlight a few of those achievements beginning with our distinguished faculty who have been honored in a wide variety of ways in the year since my last State of the Campus address. Those include Distinguished Professor Alexander Its, in our Department of Mathematical Sciences, who was honored just last month with the IU President’s Medal for Excellence for his outstanding achievements in teaching, research, and service. Assistant Professor of Mathematical Sciences Julia Arciero, also in the School of Science, received an NSF Faculty Early Career Development Award for her work to improve understanding of disease treatment. Andrea Jain, associate professor of religious studies in the School of Liberal Arts, was appointed editor of the prestigious Journal of the American Academy of Religion. Jeff Dean in the School of Dentistry, and Reed Smith in the Kelley School, took their scholarship around the world with Fulbright grants. Also on Fulbrights this year are IUPUC’s JD Mendez, assistant professor of chemistry, and Larita Killian, associate professor of accounting. Our School of Nursing also distinguished itself with national recognition. Earlier this year, Associate Professor Carol Shieh, Associate Professor Ukamaka Oruche, Adjunct, Professor Catherine Ivory, and Adjunct Professor Linda Chase were named fellows of the prestigious American Academy of Nursing. In addition, Dean Robin Newhouse was named a Distinguished Professor, the highest rank a faculty member at the university can achieve. Dean Newhouse was also elected a member of the National Academy of Medicine. Out of the academy’s 2,058 members, only 16 are affiliated with schools of nursing, so this is a remarkable achievement. I am delighted that Dean Newhouse will also be leading the latest IU Grand Challenge focused on the opioid addiction crisis. This statewide initiative is one of the nation’s largest and most comprehensive state-based responses to the opioid addiction crisis —and the largest led by a university. I want to extend a special word of thanks to Dean Newhouse for her leadership on this important project. Let me also take a moment to thank Dean of the Herron School of Art and Design Valerie Eickmeier, Founding Dean of the Honors College Jane Luzar, and Dean of the School of Social Work Mike Patchner for their years of dedicated service and leadership at IUPUI. Each will be transitioning out of their leadership roles in the coming months, and we are grateful for all that they have done to help IUPUI become the leader and innovator that it is. We are currently launching searches, and you should be hearing more about those very soon. As every person in this room—and out there in cyberspace—knows, a powerful reason that our faculty and students can achieve at the heights that they do is because we have outstanding staff members who bring dedication, expertise, and energy to work every single day. It is now my pleasure to highlight the achievements of our remarkable staff. Let me begin with Niki Messmore, coordinator for civic engagement, who was named the 2017 Break Away Staff Person of the Year for her work in expanding the IUPUI Alternative Breaks Program, making it more accessible to students. Senior career consultant Missy Cooper was honored with the Distinguished Career Award by Career Development Professionals of Indiana Inc.
Kelsey Cox received the Outstanding New Academic Advisor Award from the same organization. Honored this past year for their life-saving efforts both on and off campus were IUPUI police officers Gregory Moore, Patrick Jobe, and John O’Rourke III. Officer Amanda Botts and Sergeant Gill Journey were recognized for their service and performance as well. This past year also saw the retirement of our longtime police chief Bob True. Although it will be difficult to replace Chief True considering his vast experience and time on the force, we are in the midst of a search and have identified a number of qualified candidates. I want to thank all of our IUPUI police officers—past and present—for their deep commitment to public service. We are grateful to them for all that they do. Our students have also been recognized in many ways this past year, receiving local, national, and international honors that highlight their remarkable achievements. These include Shivani Bajpai, a recent IUPUI Science graduate from Zionsville who was named the 2017 Indy 500 Festival Queen. Shivani majored in Biology and minored in Spanish, Chemistry, Medical Humanities and Health studies and is now a student in our School of Medicine. Rick Shore, who is working towards his master’s degree in the Physician Assistant Program, was one of only 61 students in the country named a 2017 Tillman Military Scholar for his service, leadership and academic excellence. Rick served in the Air Force as a para-rescueman, and we are deeply grateful for his sacrifice and glad that he and other military veterans are studying and working at IUPUI. Michael Stottlemeyer, who is studying math education, received the Indiana Commission for Higher Education Next Generation Hoosier Educator Scholarship for 2017-2018. Just last month, Janice Miller, who earned her Master’s in History, was named the Distinguished Master’s Thesis Awardee for the entire IU system. Janice has been selected to speak about her thesis at the Annual Meeting of the American Historical Association in Washington, D.C., in January 2018. Alycia Berman is a second-year biomedical engineering PhD student, who received an NSF fellowship that is helping to fund her research into the role muscle contraction plays in strengthening bone. She joins a number of other students who have received prestigious NSF awards. Jordan Williams, a senior psychology major earned a National Association of Student Personnel Administrators Undergraduate Fellowship, and we are incredibly proud of her efforts. Our Jagathon Dance Marathoners earned national honors with a 2017 Miracle Maker Award from the Children’s Miracle Network Hospitals over the summer. Our Saudi Students Club earned first place honors from the Saudi Arabian Cultural Mission as the best Saudi student club at a U.S. university. And I would be remiss if I failed to mention our Women’s Soccer Team who won the Horizon League championship this past weekend. This is IUPUI’s first year in the Horizon League, and our first of many Horizon League championships. Special congratulations to V. Pursey whose hat-trick against Northern Kentucky got us into the Championship match, and Sophia Lipka who defied the laws of physics with her saves all season long. These accolades are a small fraction of all the recognition that our outstanding faculty, staff, and students receive. With these honors in mind, I have a special request for my colleagues. I want you to get over your Hoosier modesty. Spread this terrific news about your faculty, staff, and students further and wider. And let me know so that I can help celebrate and, of course, Tweet. And don’t forget to follow me @Paydar. As we look to the future, we need to build upon the great sense of pride we feel about all that is happening here. We need to celebrate who we are as a campus. We are a campus that is home to nationally and internationally recognized faculty, staff, and students. We are a campus whose teaching and student support services are models for the nation. We are a campus that is ranked by U.S. News and World Report in the top twenty nationally among the most innovative universities in the country. The foundations that Bill Plater and so many others laid in our first fifty years have led us to this remarkable moment. We are the IUPUI of today and tomorrow. Put simply, WE are IUPUI. We express our pride in how we talk about ourselves, how we think about ourselves, and what we call ourselves: IUPUI. Many of you have heard me talk about our name: Indiana University Purdue University Indianapolis. Have you been at a conference where that has caused confusion? Have you spent time trying to explain about our campus and the two universities in our name? Several years ago, that name earned a spot on Jeopardy in a question about the university with the longest name. I believe to minimize confusion we should transition from using our full name to just our initials IUPUI on our website and in all print materials. Therefore, I have asked IU Communications to begin this process, and I want to thank our communications team for helping make this transition. I want everyone to feel that sense of pride. I want everyone to help share our positive and inspiring story . . . the story of IUPUI. The Welcoming Campus Initiative is part of that powerful story. Launched in 2016, the initiative aims to make IUPUI a more welcoming and inclusive campus. To move the initiative forward, we asked for proposals and funded 25 Welcoming Campus Innovator projects with half a million dollars in matching funds. Just last month, I joined the Welcoming Campus Innovator fall update meeting and was inspired, yet again, by the creative spirit that drives this campus forward. Seeing the great success of the first round of Innovator projects, I am delighted to announce that I am allocating another half a million dollars to the second round of Welcoming Campus Innovator projects in Spring 2018. Would our Welcoming Campus Innovators please stand for our recognition and thanks? As I close my eyes and imagine the future for IUPUI . . . the next fifty years. I see a city filled with IUPUI Jaguars. I see this campus working hand in hand with Indy leaders like Mayor Joe Hogsett and his successors to drive the economic engine that draws even more talent to this great city. I see our distinguished faculty continuing to innovate and our dedicated staff transforming students’ lives in so many ways. But there in the distance is something else. It’s getting clearer. . . . Ahhh. . . . I see gateways in our future. At the October Trustees meeting, we reviewed and approved two gateways designed to mark entry to the IUPUI campus: one at Michigan and West Streets and another at New York and West Streets. These gateways are slated for completion in the Spring of 2018. We are also working on gateway designs for other entry points to the IUPUI campus. We want people to know the moment they set foot or wheel on this magnificent campus. This is yet another way we can express our pride in IUPUI. It’s no coincidence that I’m moving from IUPUI gateways to the status of our fundraising campaign. Sample Gates in Bloomington have been around for 30 years. Wouldn’t your name look good on our gates over the next 50 years? We are making real progress on the For All Bicentennial Campaign. In fact, President McRobbie has such confidence in our deans and development officers, he raised the campaign goal from $2.5 billion to $3 billion late last month. Thus far, we have raised well over a billion dollars in Indianapolis. I want to express my deep gratitude to IUPUI faculty, staff and retirees who collectively have committed more than $42 million to support this campus in just over 4 years. I am especially grateful to those of you who have supported the Chancellor’s Circle, which provides us the flexibility to address more immediate campus needs and opportunities. You, too, can join the Chancellor’s Circle by going to www.chancellorscircle.iupui.edu. Finally, IUPUI’s 50th Anniversary is less than a year away. We have a great many people who are helping to plan this celebration, some of whom are with us this afternoon. Would our 50th Anniversary working group and coordinating committee members please stand for our recognition and thanks? In our first fifty years, we have made remarkable progress at IUPUI. We have discovered a cure for testicular cancer. We have created new bones and skin with our 3D printers. We have helped lay the foundation for a university in Malaysia. And we have welcomed hundreds of thousands of students from across Indiana, throughout the United States (except, apparently Vermont) and around the world. The education they received here has made an immeasurable difference. They have grown into artists, writers, historians, engineers, scientists, teachers, social workers, and lawyers who, in turn, have inspired, counselled, and transformed hundreds of thousands of lives both here in Indiana and around the world. Dentists, doctors, therapists, and nurses trained here at IUPUI are helping to heal us, our families, and our neighbors. How do you measure the impact of this and so much more? We are Fifty years in Indy. Countless success stories. As I have said, the state of this campus has been—and continues to be—strong. We are IUPUI, and our 50th anniversary is going to be magnificent.